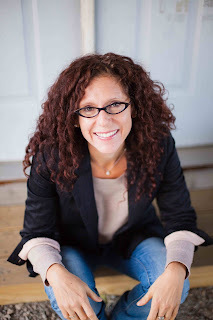 Michelle Auerbach is the author of The Third Kind of Horse (2013 Beatdom Books). Her writing has appeared in (among other places) The New York Times, The Guardian, The Denver Quarterly, Chelsea Magazine, Bombay Gin, and the literary anthologies The Veil (UC Berkley Press), Uncontained Baksun Books, and You: An Anthology of Essays in the Second Person (Welcome Table Press). She is the winner of the 2011 Northern Colorado Fiction Prize. She is an editor at Instance Press and can be found online here. Laura Davis: What’s the strangest object you've ever used to write a poem or a story with and/or upon? Michelle Auerbach: Recently, like almost two years ago, I was falling in love. I’m not a teenager, in fact I am the parent of three teenagers, but like anything else related to the birds and the bees, I became a texting addict. I was sitting down at my desk in my study, because I had the idea to write a poem about Midas for a series I was working on with characters drawn from mythology - I could relate to them because they were experiencing what I was, just a while ago. So, I was at my desk, with my phone next to me waiting to hear from him. I was fiddling with lines, putting in the ones I liked and trying to build on them. And then he texted. And his text was perfect for the line I needed so I added it in. I kept going, texting and writing and texting and writing and I found that what he was sending me was exactly what I needed to add into the poem. I am used to working off lines from books, overheard conversations, or from art that moves me, but never from texts or IM’s. The poem ended up to be one of my favorites, partly because I married the guy, but partly because Midas and his texts and my needs all came together to make something that really, really was how I felt. It was not emotion recollected in tranquility, but texting recollected in poetry. MA: I never finish anything. I want to edit things that are already in print. I want to edit my novel, which has been out for almost six months. I open the book and start reading aloud and I want to change it, like, "Oh, this would be much better if . . ." I heard that some painter had to be dragged out of a museum before he altered one of his paintings that the museum owned. That’s me. If I don’t send this in soon, I will edit it a tenth time. MA: I have been writing since Fourth Grade. I started keeping a journal and I wrote a book of poetry for my teacher called “A Smile Spreads A Mile With Poetry.” I kept writing every single day until I was 42. Then my ex-boyfriend, who was also a writer and should have known better, read my journal. I stopped. The violation was so extreme that I now have journaling PTSD. It took me three years to read the journal he had read, and to come to terms with what he had done. But those three years trained me to do something else, not journal. I think the daily practice was so good for me, so cathartic, so useful in learning to develop voice and pacing, and for figuring out how to get emotion on the page, and for learning to write in character, me or not me, that I would call it the world’s greatest apprenticeship. LD: Do you believe in “writer’s block”? MA: I do not believe in writer’s block. I believe in the insidiousness of fear and the angry reds and the mean blues when you doubt the veracity or importance of what you have to say. Or at least I do. But, my college professor, who was my hero, made me read Hemmingway’s journalism and instilled in me a belief that writing was a job, that you do every day, not just when inspired, and that some or all of it could be crap and life would go on. Try again the next day. It really helps when the self-critical voices start up to know I have to do it anyway. LD: What writing implement do you wield? MA: I am a stationary and pen freak. I am obsessed with what everyone uses to write. I am obsessed even with various computer programs. A lawyer friend told me about a program she uses to plot out cases – it tracks the characters and the lines of argument and I was sure I could use it to plot a novel. I love fountain pens and Clairfontaine notebooks that I buy in Paris. That sounds really snobby, but it is true. If you go to France, please bring me a cheap drugstore fountain pen and any kind of Clairfontaine notebook. You can get them in Monoprix, if you are looking. I learned this when I took a workshop with Natalie Goldberg in the 90s and she said to find a pen and paper that moved fast. That was my vroom vroom combo.